One of the seminal works from the writer who defined modern comics, Alan Moore, is remastered for the first time in breathtakingly vibrant color! 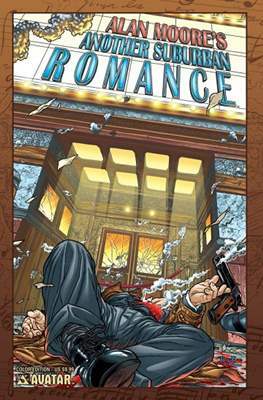 Alan Moore's performance works making up the play Another Suburban Romance are translated into print and lavishly illustrated as full sequential stories. Comprised of three major pieces, adapted from Moore's original presentations by frequent collaborator Antony (Fashion Beast) Johnston, this original graphic novel is completely illustrated by Juan Jose Ryp. 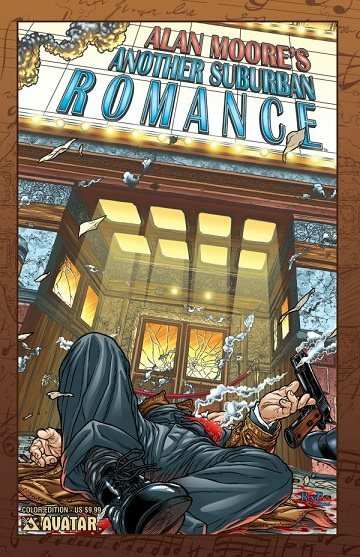 Running from the 1920's Chicago-style killings in Old Gangsters Never Die, to the ruminations on modern life in the namesake piece Another Suburban Romance, this powerful work is an essential piece of the Alan Moore graphic novel library that no fan will want to miss!